The World of Outlaws Morton Buildings Late Model Series returned to the dirt this weekend in the mountains of Tennessee. 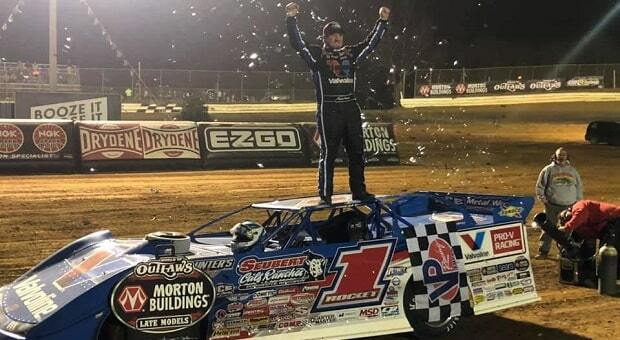 After being postponed by persistent rain earlier this month, the start of Tennessee Tipoff race weekend gave one driver his fifth consecutive victory while night number two had fans leaping to their feet cheering one of their own to the finish line. 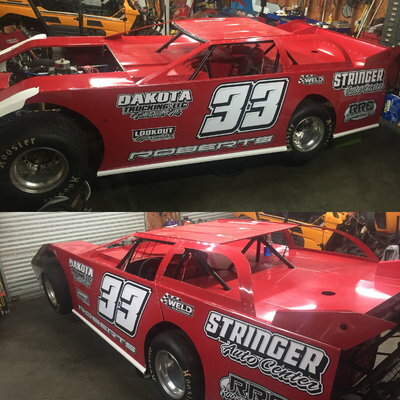 The first of two feature races began Friday night with The Rocket Shepp doing what he does best: showing the competition how it is done at Duck River Raceway Park. As has been the case on Brandon Sheppard’s ongoing quest for the Series’ all-time consecutive-win record, the driver of the No. 1 Rocket Racing machine was strong right out of the trailer. Despite a third place start in the first of two 50-Lap feature races, Sheppard began pressuring pole-sitter Chase Junghans just before the halfway point of this race. After making his way out front, Sheppard and his rocket ship of a dirt late model never relinquished the lead despite the No. 18 of Junghans trying to take to take it back during the final 10 laps of this race. Although it took what most World of Outlaws drivers are calling ‘the driver to beat’ almost half of this race to take the lead, Sheppard said that driving behind Junghans for the majority of this race gave him time to study which line would be the fastest to stick to once he made his impressive pass. While Sheppard worked the bottom most of the Feature, he had to go to the top to get around the driver, who was doing his best to hold one of this Series’ most winning drivers at bay. In what was almost a perfect night for Junghans and his ShopQuik Racing team, after earning the PFC Brakes Fast Time Award, winning his heat race and redrawing the pole, the team’s efforts earned them a runner-up finish and gave Sheppard his 42nd Feature win of all time and fifth victory in a row with the World of Outlaws Morton Buildings Late Model Series. 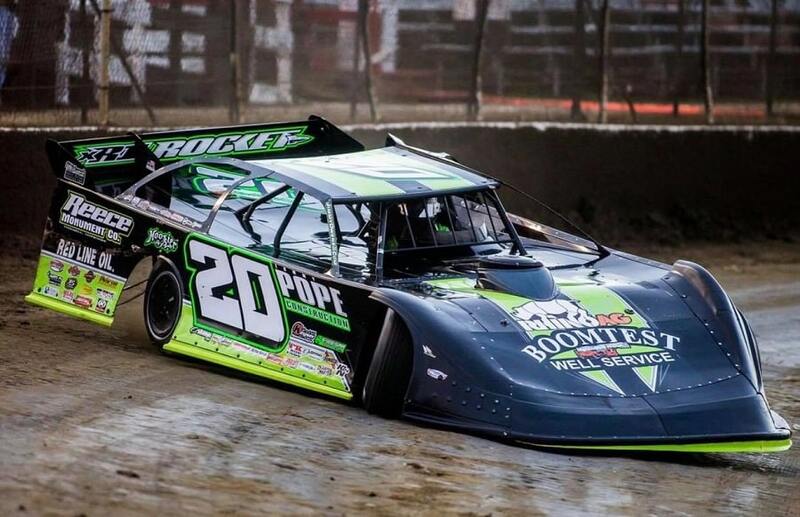 Although Sheppard dominated Friday night’s race at Duck River Raceway Park, it was a Tennessee native who stole the show on night two at Smoky Mountain Speedway. After a runner-up start to the second feature race of Tennessee Tipoff weekend, the No. 20 of Jimmy Owens took command after hugging the low line and gradually pulling away from the No. 29 of fourth place starter Darrell Lanigan and Friday night winner Brandon Sheppard. Despite falling back from his pole place start, Friday night’s winner Brandon Sheppard began to make his way back to the lead after stealing second from Lanigan and aiming for pole sitter Jimmy Owens. Sheppard closed the gap in under five laps and immediately showed Owens just how close he was, getting under the No. 20 several times before a number of yellow flags restacked the field. While Sheppard was strong on the low side, Owens was able to hold him off, racing one groove higher. After consistently hitting his marks, the Newport, Tenn. native held off Sheppard to cash in big after winning the 13th World of Outlaws Morton Buildings Late Model Series Feature of his career and first since June 2 of last year. Despite having to settle for a runner-up finish on Saturday night, Brandon Sheppard has obtained the points lead going into the Illini 100 at Farmer City Raceway on April 5 and 6. 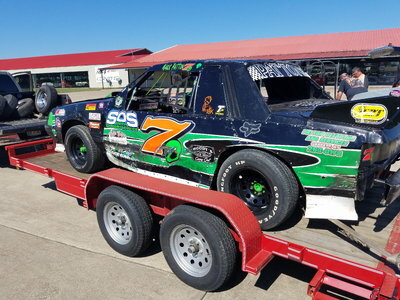 Stay tuned to RacingJunk.com for all of your dirt racing coverage.